I am thrilled to announce my participation in a three-person exhibition, entitled We Make Our Own Wings, at ATC Gallery in Denver. I will be exhibiting completed work from my residency at Elsewhere Studios last month, as well as several other new paintings, alongside artists Bonnie Ferrill Roman and Yoshimoto Saito. 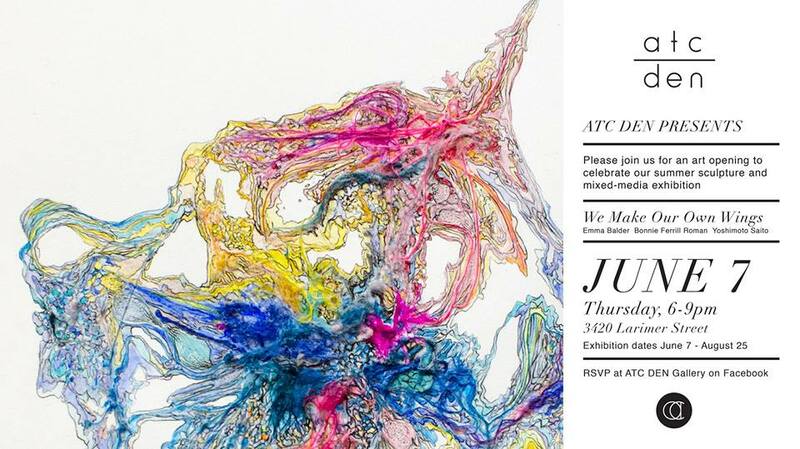 The opening will be Thursday, June 7 from 6-9pm in the gallery, and the show will run until August 25. If you are in the area, please do come by!